EirGrid | Photo Marketing App - Snappie - Capture Branded Photo & Video. Snaps taken at All-Ireland Football Semi-Final between Dublin and Tyrone in Croke Park (Dublin). Fans were thrilled to have photos taken of themselves at a memorable event. 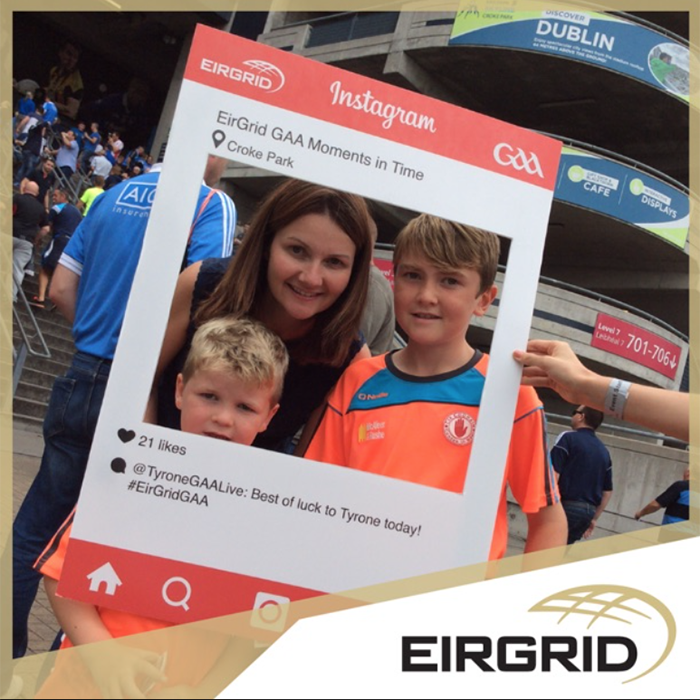 In just under 4 hours EirGrid achieved 558 post reactions which resulted in great social media exposure for the company.